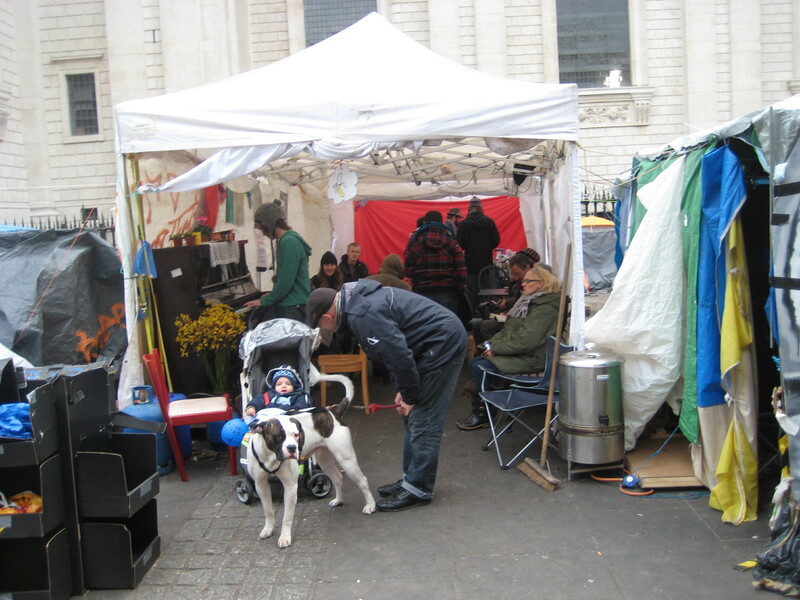 What is the Occupy camp at St. Paul’s really like? From the welcome tent onwards the camp was clean and well organised. 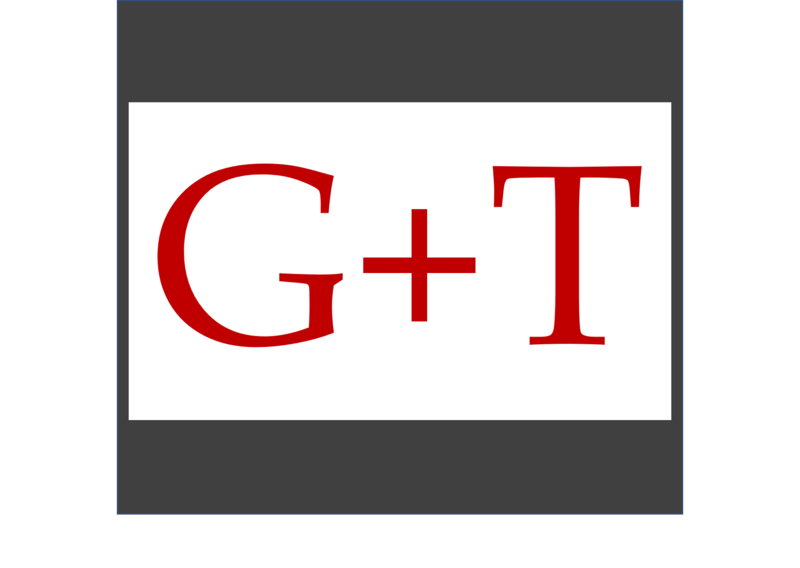 Events, activities, seminars, noticeboards, jobs to do, FAQ – it’s all there. Everyone I spoke to seemed to have a clear role – chef, taking witness statements, welfare team, clean-up, London corporation policy group, welcome crew, press spokesperson. A cup of tea, serenaded by the piano (donation box available). It struck me how well everyone I spoke to genuinely listened, even when they disagreed. I half expected everyone to rant on their chosen hobbyhorse, but there was a strong culture of interest and discussion. When someone came in with a bottle of vodka the person responsible moved him on straight away. The police are a constant background presence, but no-one I spoke to mentioned them. 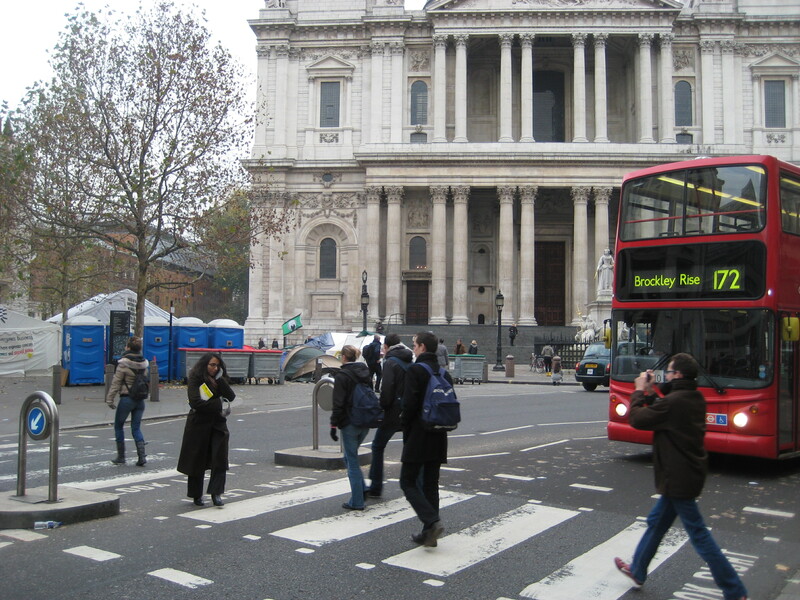 The General Assembly is held on St. Paul’s steps twice a day and operates by consensus (sadly we couldn’t stay for it), but the Working groups mean that those prepared to do the work rather than just criticise have more influence. I asked quite a few people where they thought the camp was going and what would be the end result. It seemed like I was asking the wrong question. There’s lots of people working on specific concrete demands in various areas, but somehow that wasn’t the primary focus. Instead people wanted to create a safe space where people could talk and be themselves outside of the mainstream system. Process was as important as outcome.They wanted to model something different in terms of decision making and human interaction. Some talked of going home for a few days, some said that this was there home now. Previous postShould I lie about Santa Claus? Would be interested to hear what you picked up that hadn’t already been reported ithrough the spin and opinion of the mainstream media? I visited about a month ago – you so eloquently document many of the thoughts and feelings I had about being there. 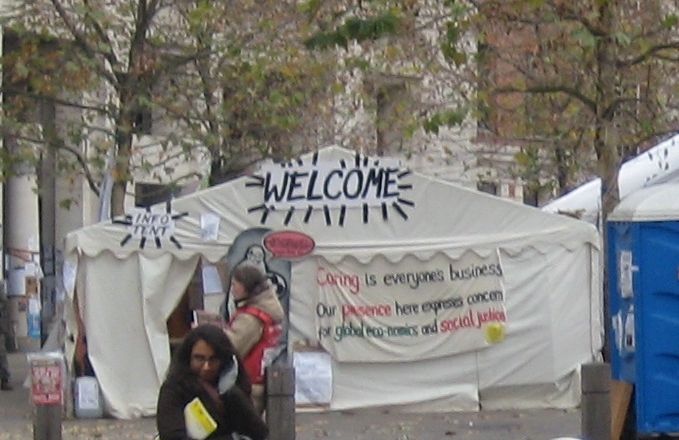 I went initially as a response to the church starting legal proceedings to get them off site – to support the occupation. Also to stand with them as a move against the huge inequality that is in our society. Everyone I spoke to wanted dialogue – for these issue to be on the table. At the General Assembly there were many speaking from different facets of the issue – against fuel poverty, ex-service/war veterans, church liaison groups. 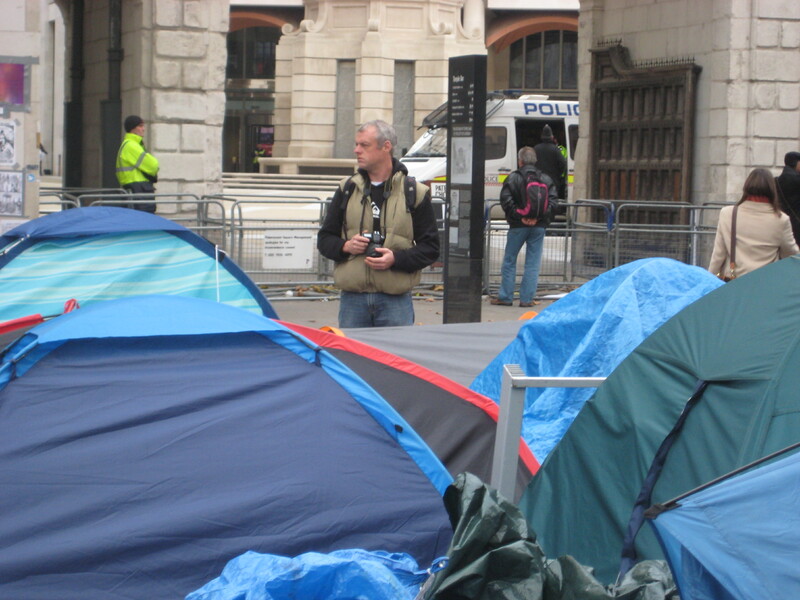 I also spent time talking to many of the ‘suits’ who were watching from the periphery of the camp. 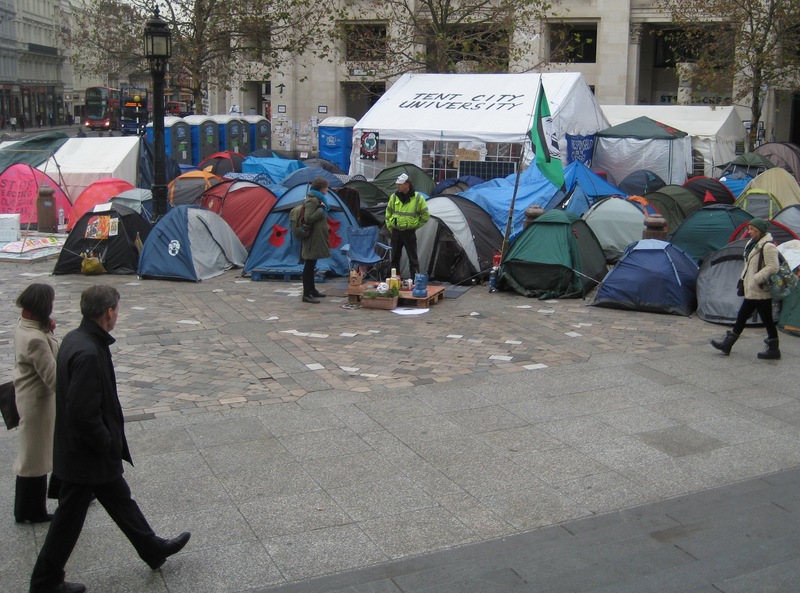 Thanks for your comment – what was Occupy Bournemouth like? How big is it and whose land are they on? I’ve often wondered how the camps out of London are getting on largely out of the media glare and what the people are like that actually got them started? All the stories initially were (understandably) around the eviction / relationship with St. Paul’s & London Corporation / the resignations etc not looking at how the camp actually worked or were trying to do. There’s been another group of stories that sets out to prove that the people in the camp are contradictory / hypocritical (the going to coffee in Starbucks stuff etc). Often they’ve been described as ‘protestors’ or ‘anti-capitalist’ without really investigating what that means and the terms have been used in loaded/perjorative ways. I’d been impressed by Occupy’s constructive, but assertive dialogue and tactics and the relative lack of just yelling/moaning protests and expecting everyone else to sort things out. I guess I wanted to see whether that impression I formed was accurate and try and understand how things were working in practice, with as little agenda as possible (although obviously I am going in broadly sympathetic). I wanted to find out about how the messy tensions of consensus-building democracy have worked without either jumping on or ignoring every mistake. That kind of approach is very hard to find in the mainstream media – it’s difficult to find ‘the story’ around it and it’s not polemical/opinion driven. What were your experiences down there?